Smart phones have had a major impact on many areas of business, but they serve one purpose especially well: organization. By giving business professionals a place to log and store information, they can make management tasks and record keeping far more straightforward. The Android platform, in particular, has a number of useful apps, and many of these apps are free or cost well under $10. Here are five good options. Despite the slow move to cloud servers and other integrated tools, file management is still necessary in business. 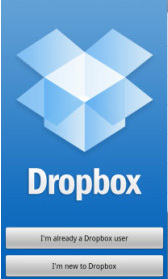 By using the Dropbox platform, managers can ensure that they have access to crucial documents wherever they are located. The Dropbox Android app provides a simple interface that allows managers to deal with their files as if they were at their desktops or laptops. Dropbox can support multiple users, so businesses can use it as a central data store that all employees can access when necessary. Evernote is, essentially, a suite of tools that allows managers to track their thoughts, log important data and have a standby tool when they need to think through problems. Evernote allows users to input text, record their voices, take pictures and sync everything to a PC client. Its long history with the Android platform and large user base ensures that it will be supported for the foreseeable future. Too often, business professional think of great ideas only to become distracted and forget about them. The organizational capabilities of Evernote make it a must-have tool for any manager. When it comes to basic record keeping, managing receipts is one of the biggest hassles. Piles of receipts often build up, and those in charge of financing must eventually work through everything to find out what the company’s bottom line truly is. 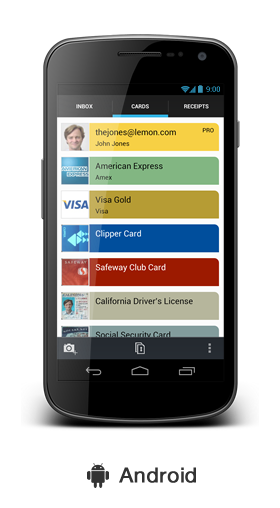 Lemon makes this task far simpler; Lemon can scan receipts, read what they say and store the relevant numbers instantly. Because of its simplicity, users are likely to scan receipts quickly instead of saving them for later. Because of the Internet, businesses are shipping products more than ever before. Tracking these packages manually, however, can become a bit overwhelming. 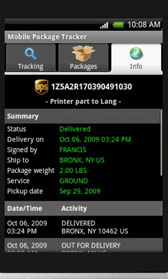 With Package Tracker Pro, managers and record keepers can find out exactly where all of their packages are located. It works with all carriers and can even send notifications when packages have been delivered or if any problems have arisen. The biggest customer complaint with regard to online businesses is shipping difficulties; Package Tracker Pro can help a company ensure high levels of customer satisfaction. One of the major impediments to shifting toward paperless offices is the need for permanent archives; original documents must be saved in many cases. 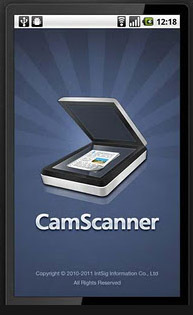 CamScanner, however, allows businesses to make an exact reproduction of documents using their phone cameras. With a high degree of accuracy and the ability to automatically combine documents, CamScanner allows businesses to create permanent digital records of documents by saving them in a PDF file. With Lemon, businesses can fight against the constant encroachment on free space and maybe even eliminate some file cabinets. Android phones are faster and more capable than computers from only a decade ago, but too many fail to use these devices to their full potential. By taking time to find the right apps, businesses can be assured that they are taking advantage of the latest tools that can help a business run more smoothly and store information more accurately. I am using Evernote before and it is really great to have it. Thanks for sharing the android applications you have. Those are some great apps. I use most of them on a daily basis. Scanning all my paperwork and receipts really helps with organizing. The Lemon app does some organizing automatically based on what’s on the receipt.